Join the SunnyQueenHair Affiliate Program and make money online. You can earn commission from each qualifying transaction that you refer to SunnyQueenHair.com from your blog, website, email, or any offline marketing. SunnyQueenHair.com is absolutely FREE to join, so it's all profit to you! -Earn 5% commission on qualifying sales you refer to SunnyQueenHair.com! -Get started easily-Place our website and offers on your website, Blog, etc, direct a visit to SunnyQueenHair.com and make money. We will handle all the fulfillment --------details-order processing, product delivery, after-sale services and your compensation. -If you have already registered on SunnyQueenHair.com, you can directly go to the Affiliate Program section of "My Account". If you haven't, please register. -Sign up for the SunnyQueenHair.com affiliate program and get your own Referral Link. This Agreement contains the complete terms and conditions which you (the "Affiliate") agree to be bound by as a participant in SunnyQueenHair's affiliate program. This Agreement will become binding when you sign up as our Affiliates. -Commissions shall be paid on Net Sales for Qualifying Transactions. Net Sales means the amount actually paid to SunnyQueenHair.com for Qualifying Transactions, excluding any amounts paid for sales taxes, duties, shipping and handling, or similar fees. -SunnyQueenHair will not pay commissions on cancelled orders or full refunded orders. For partly refunds or Exchanges, commissions will be adjusted downwards according to the final sales amount. -SunnyQueenHair will not pay commission on orders placed by affiliates themselves. -SunnyQueenHair will pay your commissions on a month-in-arrears basis. We reserve the right to delay sending payment for one month. 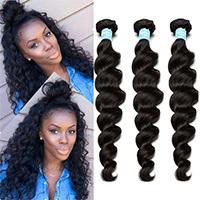 -SunnyQueenHair shall, on or about the 20th of each month, PayPal transmit the Sales Commission representing the amount payable for the sales completed in the previous month. So please double check your PayPal account when sign up. 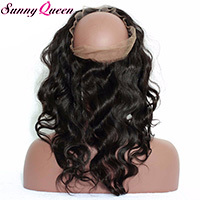 -SunnyQueenHair offer 1 year cookies duration. If a customer comes from your site to ours, and then comes back to purchase during the following 1 year , you can get credits from every orders of this year. 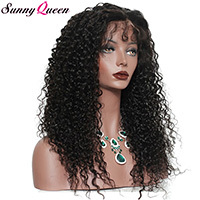 -SunnyQueenHair shall not pay commissions to you if SunnyQueenHair deems that you have engaged in any fraudulent or criminal activity in connection with the Affiliate Program, or that you have violated the trademark terms or other terms of this Affiliate Program. 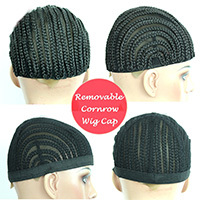 -SunnyQueenHair may, in good faith, modify or terminate any of the terms and conditions contained in this Agreement at any time and in its sole discretion. We will post a change notice or a new agreement on our web site.